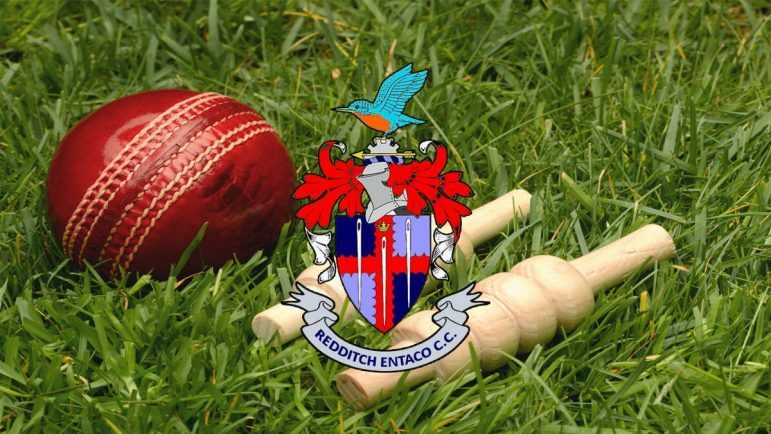 REDDITCH ENTACO will bid to end their Birmingham League Division Three home campaign on a winning note when they host Worcester outfit Old Elizabethans on Saturday. The Kingfishers remain eighth heading into the encounter following a disappointing six-wicket defeat at Shropshire side Newport last weekend. Redditch captain Waqas Ali won the toss and elected to bat but his batsmen failed to capitalise on the opportunity as they were bowled out for just 196 in the 50th over. Only a fine 75 from Yassar Altaf and 27 from Tom Field provided any resistance and in reply Newport started positively and were always up with the rate. Redditch struggled in the field and Maisam Jaffri (76) played a key role as the hosts cruised home with plenty of overs to spare. The 2nds were 13-run victors at home to Sutton Coldfield in a low-scoring match. Redditch were bowled out for just 134, with Tom Phelan (32) and Kevin Lokenath (31) the main contributors. In reply Sutton Coldfield struggled against the Redditch seam attack as all-rounder Lokenath completed an excellent day with 4-19 to help dismiss the visitors were 121. Redditch, who moved up to seventh in the table, travel to Old Elizabethans on Saturday. ASTWOOD BANK may be certain to finish bottom of Birmingham League Division Two, but enjoyed a welcome fourth win of the campaign when they triumphed by 27 runs at Wombourne on Saturday. The visitors were put into bat and recovered impressively from 13-2 to post 242 all out thanks to healthy contributions from opener Rob West (48), Tom Underhill (36), Pete Alexander (49) and David Sewell (31). Wombourne then reached 71-0 in reply but, once Sewell (3-50) bowled both openers in quick succession, the innings lost momentum. At 205-7, the home side were still in with a chance of victory, but Dan Taylor (3-43) and Tom Harris (2-40) ensured they were dismissed for 215 in the 48th over. Bank are on the road again on Saturday with a clash against Pershore. STUDLEY will finish second-bottom of Warwickshire League Division One regardless of the outcome of Saturday’s final match at home to Highway Spartans following a seven-wicket defeat at Earlswood. The visitors posted a decent 241-7 as once again Jack Williams (80) impressed, backed up by Charlie Bass (30) and Richard Lewis (36). However, it soon became clear this was never going to be enough as Earlswood skipper Matt Edwards smashed a brilliant 115 including 19 fours and four sixes to set up a home win achieved inside 29 overs.